The starting point for closing the Rikers jails is dramatically cutting the number of people who are incarcerated, and we have made real strides towards this goal. Thanks to reforms to policing and prosecution, investments in alternatives to incarceration, and continuing pressure from advocates, there are 1,800 fewer people in city jails than there were two years ago—all while the city remains safer than ever. The total number of people in jails is now under 8,000, the lowest it has been in many decades and representative of a lower incarceration rate than any other major United States city. 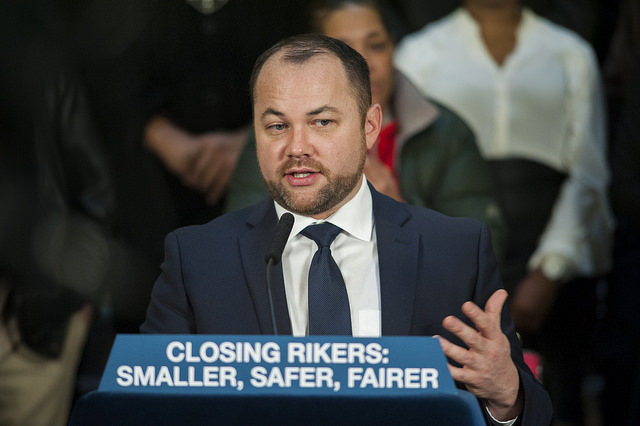 Reforms recently enacted in Albany to bail, discovery, and speedy trial laws will reduce that number further and bring us much closer to the goal of 5,000 or fewer people incarcerated that would eventually permit the end of Rikers jails. But to actually shutter the Rikers jails, and not just talk about it, it is imperative for the city to build a smaller system of facilities located in the boroughs to hold those who remain. Today there are three operating non-Rikers jails, including a 1950s-era tower in downtown Brooklyn and a 30-year-old barge docked in the Bronx that would be closed along with Rikers. None are examples of humane design, and together they have space for fewer than 2,400 people. New York City has launched the land use process that will determine whether Rikers jails can be shut down. If successful, it will lead to the authorization of four redesigned facilities to hold 5,000 people or fewer in total. Three of the planned facilities—in Brooklyn, Queens, and Manhattan—are on the site of existing jails, next to borough courthouses. The fourth, in the Bronx, is on an NYPD tow pound lot in Mott Haven. The Bronx site is farther from the courthouse than the others, but still exponentially closer and more accessible than Rikers. Of course, a plan of this scale and impact has critics. Some say that closing Rikers is impossible. These are the same voices that said, two years ago, that everyone in city jails deserved to be there. They are the same voices that said, five years ago, that ending the policy of widespread stop-and-frisk that was devastating communities of color would lead to an outbreak of crime. They were wrong then, and they are wrong now. Then there are those who oppose borough facilities for the exact opposite reason. They argue that borough jails would “normalize” incarceration. Nothing could do more to normalize incarceration and to perpetuate a toxic culture of violence and mass incarceration than continuing to warehouse New Yorkers on a hidden penal colony. Others have said that we must pause this process. But every day that we wait is an extra day that the Rikers jails will remain open, harming the people who work and are incarcerated there. 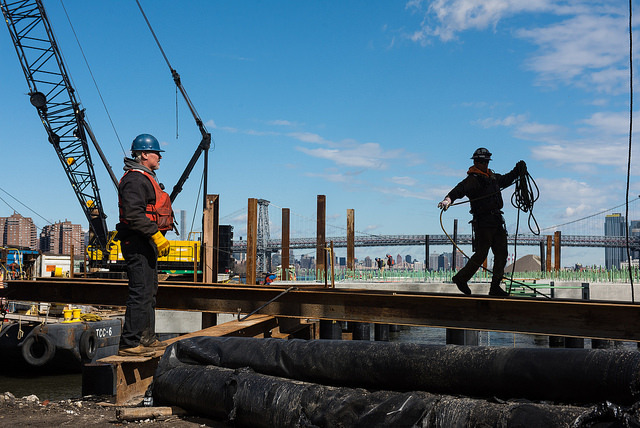 And many who call for delay understand that it would squander the once-in-a-generation opportunity the city has to move towards closing Rikers now, ultimately derailing the project. Finally, some people who live near the proposed facilities are concerned about the impact on their neighborhoods. These concerns, which include traffic, safety, and size, are understandable and must be thoroughly assessed, and that is what is happening in the land use process now underway. Yet we must remember: there are jails currently operating in downtown Manhattan and Brooklyn without any negative impact to property values or crime. The plan that the mayor has put forward is an essential step in the path to close the Rikers jail complex. Conversations with communities have already led to initial reductions in the height and density of the planned facilities and more thoughtful plans regarding the treatment of incarcerated women. Moving forward, we expect to see more work from the administration to improve the plan—such as finding non-jail, hospital-based alternatives for people with serious mental health diagnoses—and to address neighborhood concerns. Equally important, the administration must invest in the socio-economic needs of the communities that historically have been hit hard by the inequities of the criminal justice system. And to demonstrate his seriousness about changing the justice system, Mayor de Blasio should raze the jail on Rikers that he closed last summer. The land use process that began is necessary to put an end to Rikers, but it is not the end of the road. We will still need to determine crucial issues like how the facilities will be operated and what services and programs they will provide. Finishing the job will require the same focus and advocacy that got us to this point. The misery of Rikers has been well-known, and well-documented, for decades. The reason those jails continue to exist today is that closing them was always considered too difficult. But to paraphrase John F. Kennedy, we are not doing this because it is easy; we are doing it because it is hard—and absolutely necessary for a justice system that is worthy of our city. Corey Johnson is the Speaker of the New York City Council. Jonathan Lippman is a former chief judge of New York State, of counsel at Latham & Watkins LLP, and chair of the Independent Commission on New York City Criminal Justice and Incarceration Reform. 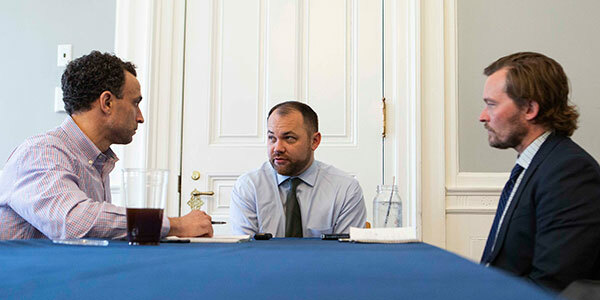 City Council Speaker Corey Johnson joined Max & Murphy for an extended, wide-ranging onversation about his leadership of the City Council, his relationship with Mayor Bill de Blasio, city budget negotiations, housing and transit policy, and much more. The converstion also included a discussion of the speaker's exploration of a run for mayor in the 2021 election and his initial pitch of his vision, the issues that matter most to him and what the election may be all about. Over the course of the six-week long special election that Williams won, virtually all of the 17 candidates who were on the ballot argued that the public advocate’s office needs more funding. 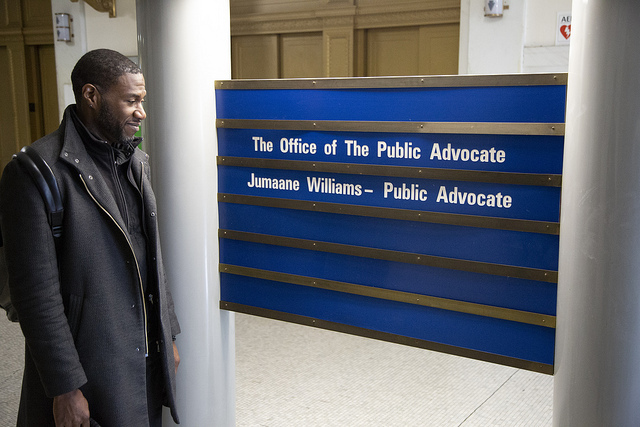 One of just three elected positions with citywide responsibilities, the public advocate’s office currently has a budget of $3.6 million for the year, giving it little leeway to pursue the grand promises that each candidate made, whether it involves investigations of city agencies or creating new deputy public advocate offices in the boroughs, as Williams himself has pledged. “I haven’t met too many people that said the money they have is sufficient to do the work they have to do. So the short answer is, you can always use some additional funds,” Williams said when asked about the public advocate’s budget at his first news conference at his new office on Thursday afternoon. Williams was sworn in by the city clerk at a private ceremony on Wednesday and will be transitioning into the role over the next few weeks (results of the special election still need to be certified and Williams must resign from his City Council seat). Renewed focus on the office’s budget thanks to the special election comes in the early stages of city budget season, with a new spending plan due by July 1, the start of the city’s fiscal year, and as a charter revision commission considers an overhaul of the city’s foundational laws. The commission’s work will include reevaluation of the role of the public advocate and consideration of independent budgeting for various offices. Williams appears ready to simultaneously push for more funding for next fiscal year and independent budgeting for the long-term, something that the charter commission would have to propose and voters would have to approve in November, when Williams is expected to again be on the ballot to attempt to earn the rest of the current four-year term through 2021. Currently, the Independent Budget Office, a nonpartisan city-funded fiscal watchdog, is the only city government agency or entity with a budget pegged to another existing one rather than being allocated by the mayor or the mayor and the City Council through the annual city budget process. By law, IBO’s annual budget cannot be less than 12.5 percent of the annual funding for the mayor’s Office of Management and Budget. That precludes any mayor from slashing IBO’s budget at their whim. The public advocate’s budget, on the other hand, is set by the mayor and City Council, which is what allowed former Mayor Michael Bloomberg to cut funding to the office when he was in power. 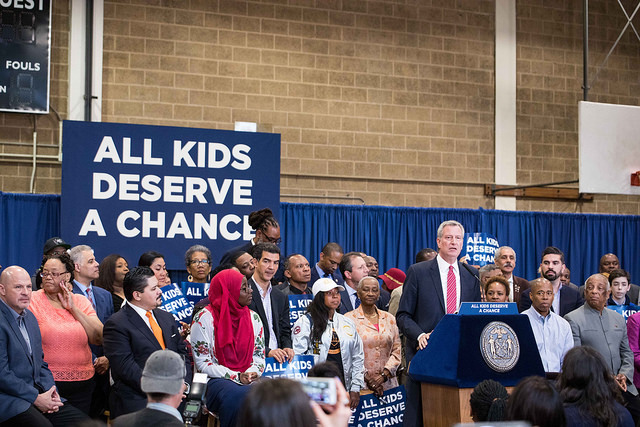 Mayor Bill de Blasio, a former public advocate himself, restored that funding and has incrementally increased it each year. 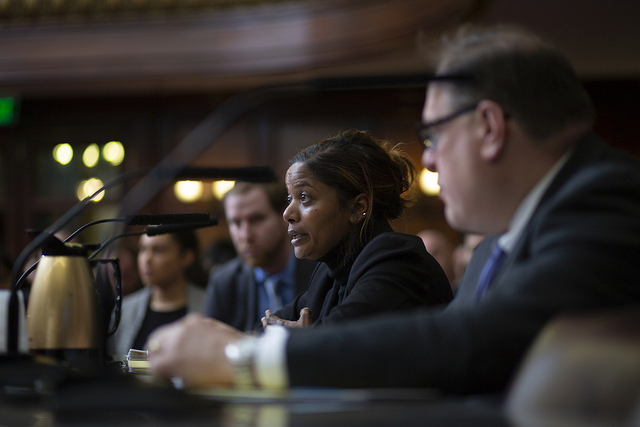 In turn, calls for independent budgeting also seemed to fade away and then-Public Advocate Letitia James, now the state Attorney General, did not take a position on it. 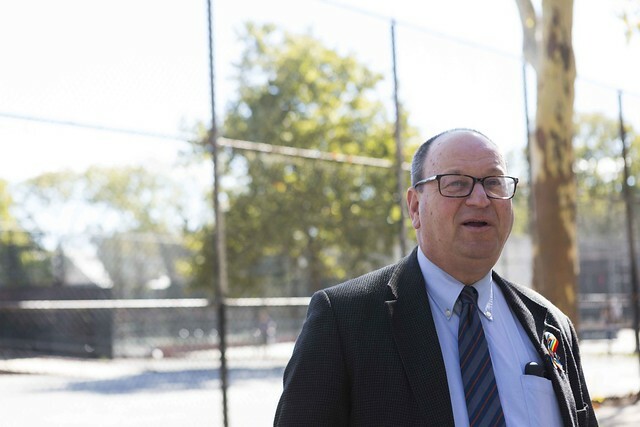 The mayor’s preliminary budget for the 2020 fiscal year beginning July 1 proposes increasing the budget again, to $3.8 million, up from $3.1 million in de Blasio’s first adopted budget in 2014. When he was public advocate, de Blasio led a push for independent budgeting for the Civilian Complaint Review Board, which investigates police officer misconduct, indicating that he’s open to the concept of separating funding for a government watchdog. 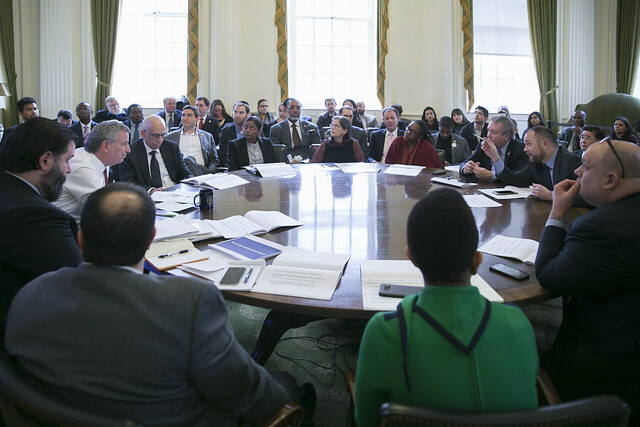 Even at the proposed $3.8 million for next fiscal year, the public advocate would be tasked with keeping watch over a city government de Blasio has said will spend roughly $92.2 billion during the same time period. 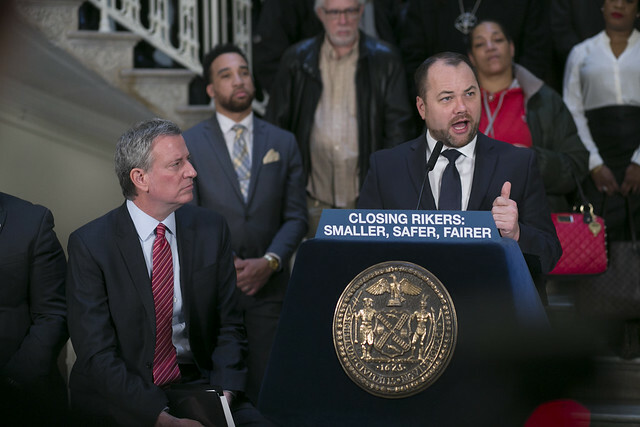 The circumstances of the special election had other elected officials also clamoring for greater resources for the city’s ombudsperson, including City Council Speaker Corey Johnson, who served as acting public advocate while the seat was vacant for seven weeks. The City Council has also called on the 2019 Charter Revision Commission to consider a charter amendment to give the public advocate the ability to submit a proposed budget into the mayor’s executive budget, the second iteration of the annual spending plan. In its report to the Charter commission, the Council noted that the mayor sets the public advocate’s and comptroller’s budgets though both are independently elected citywide officials. “This budgetary relationship can become more political than practical and may significantly hamper the ability of these elected officials to do their work — particularly if their priorities conflict with the Mayor’s priorities,” the report reads. The comptroller’s budget is currently $107.5 million for this fiscal year. The charter commission is currently holding hearings to solicit expert testimony on various focus areas, including on independent budgeting for entities such as the public advocate and whether to propose modifications to the public advocate’s powers or perhaps eliminate the office entirely. At a January 31 hearing where the commission voted on those focus areas, Commissioner James Vacca, a former City Council member, did raise concerns about independent budgeting. “I think that you will have a lot of people knocking at your doors and they will be saying that they want to establish their own budgets, too, and I don’t know if that’s fiscally possible or responsible,” he cautioned.